You are looking at 1oz or 2oz of Revive Eye Cream. The eyes are the windows to the soul, right? Well, now it’s time to put a great frame around those windows! Absorb Health has expertly combined cutting-edge peptides like Matrixyl 3000 and Tripeptide-5 with an ocean-based Retinol to revive your eyes without irritating them. We have also included dozens of botanical actives, pure plant oils, and organic vitamins and minerals. The combined effect is one of a powerful and deep cellular rejuvenation, enhanced collagen production, wrinkle repair, and inflammation reduction for your fragile and vulnerable eye area. * This formulation is effective and safe for daily use, for both daytime and nighttime repair and protection. Other products of ours that you may be interested in include: 60% Matrixyl 3000 Firming Serum, Vitamin C (20%), E, and Ferulic Acid Serum and Renaissance Night Treatment. All orders ship within a day and come with a money back guarantee. 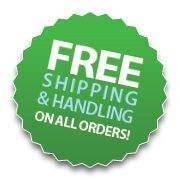 Free U.S. shipping on all domestic orders over $75. Thank you for shopping with Absorb Health, and please remember us for all your Mind, Body and Spirit solutions! Directions for Use: Dab around eyes, forehead and cheek area. Can be used as an all-over face treatment. Safe to use morning and night. Can be used under makeup. Can be used as an all-over facial and neck creme as well. Ingredients: Purified Water, Organic Barbadensis Leaf Juice (Aloe), Organic Helianthus Annuus (Sunflower Oil), Cassia Angustifolia Seed Polysaccharide (botanical hyaluronic acid), Hamamelis Virginiana (Witch Hazel), Glycolic Acid, Methylsulfonylmethane (MSM), Glyceryl Stearate, Kosher Vegetable Glycerin, Squalane, Lactic Acid, Isopropyl Palmitate (Palm Oil), Hydrogenated Castor Oil, Octyl Palmitate, Organic Cocos Nucifera (Coconut Oil), Theobroma Cacao (Cocoa Butter), Cetyl Alcohol, Cetearyl Alcohol, Cetearyl Glucoside, Stearyl Alcohol, Potassium Stearate, Sodium Ascorbyl Phosphate (Vitamin C), Caprylic/Capric Triglyceride, Hydrogenated Vegetable Oil, Crithmum Maritimum Extract (Sea Fennel Wax), Matrixyl 3000, Palmitoyl Tripeptide-5, Cucumis Sativus (Cucumber Hydrosol), Carbomer, (2s)-2-Amino-5-guanidinopentanoic Acid, Organic Beeswax, Organic Simmondsia Chinensis (Jojoba Oil), Calophyllum Inophyllum (Tamanu Oil), Wildcrafted Camellia Sinensis (Green Tea), R Lipoic Acid, Arctostaphylos Uva Ursi Leaf Extract (Bearberry Extract), Vaccinium Angustifolium (Blueberry Extract), Organic Vaccinium Macrocarpon (Cranberry), Rubus Idaeus (Raspberry Seed Oil), Wildcrafted Mahonia Aquifolia (Oregon Grape), Organic Glycyrrhiza Glabra (Licorice), Wildcrafted Euphrasia Officinalis (Eyebright), Helichrysum Italicum (Helichrysum Essential Oil), Camellia Oil, Persea Gratissima (Avocado Oil), Pelargonium Gravolens (Geranium Essential Oil), Organic Borago Officinalis (Borage Oil), Organic Linum Usitatissimum (Flax Seed Oil), Organic Oenothera Biennis (Evening Primrose Oil), Organic Rosa Canina (Rose Hip Oil), Sodium Hydroxide, Ubiquinone (Coenzyme Q10), Tocopheryl Acetate (Vitamin E Acetate), Phytic Acid, Phospholipids, Tocopheryl (Antioxidant), Lecithin, Pyrus Malus (Apple), Citrus Medica Limonum (Lemon), Saccharum Officinarum (Sugar Cane), Dipeptide Diaminobutyroyl Benzylamide Diacetate (peptides), Cymbopogon Schoenanthus (Lemongrass), Ascorbyl Palmitate (Vitamin C Palmitate), Acetyl Hexapeptide-3, Sclerotium Gum, Potassium Sorbate, Panthenol (Vitamin B5), Wildcrafted Arnica Montana (Arnica), Organic Lavandula Angustifolia (Lavender), Organic Calendula Officinalis (Calendula), Organic Anthemis Nobilis (Chamomile), Vitis Vinifera (Grapeseed Oil), Macadamia Integrifolia (Macadamia Nut Oil), Sodium Carbomer, Xanthan Gum, Phenoxyethanol, Ethyl Hexyl Glycerin, Benzyl Alcohol.